Seasoned investigative reporter Charlotte McNally knows that in the cutthroat world of television journalism, every story could be your last. There's always someone younger and prettier to take your place, always a story more sensational to drive ratings through the roof. When Brad Foreman's widow demands to know why Charlie never answered his email, Charlie is confused. She never received his message. What did Brad, an accountant at a pharmaceutical company, want to tell her? As she searches through her computer, she finds an innocent-looking email in her junk mail folder that may turn out to be the biggest story of her career. Is the encoded email—and the ones that follow—linked to Brad's "accidental" death? Charlie's investigation leads her to Brad's friend, professor Josh Gelston, who is charming and exceedingly helpful—perhaps suspiciously so. 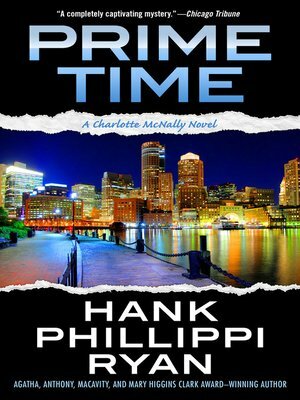 Charlie must decide if she can trust Josh...before a multimillion-dollar fraud ring with murder in its arsenal makes her the next lead story.